Dress and Apron fit 18" dolls such as American Girl. 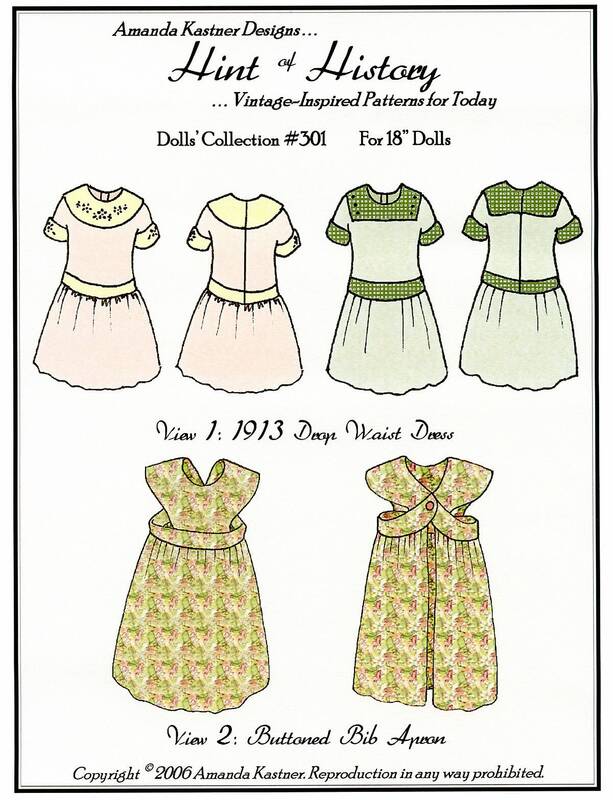 The dolls' version of the girls' 1913 drop-waist dress pattern and the buttoned bib apron. The dress closes with velcro for easy on/off during play.